Brown grounded beef with onions, peppers, and garlic. Season with Italian seasoning, and salt and pepper to taste. Add in cooked rice and 1 cup of tomato sauce to the meat mixture. Meanwhile, cut zucchini in half length wise to make boats. Use a spoon to remove the seeds and create space for the filling. 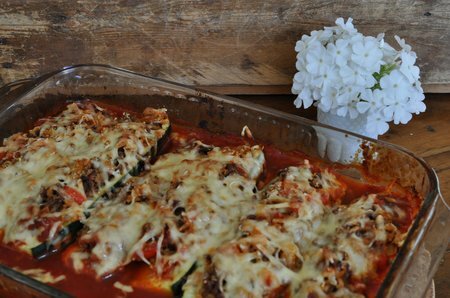 Pour tomato sauce in a large baking dish and put zucchini on top, use a spoon to fill each with the meat and rice mixture. 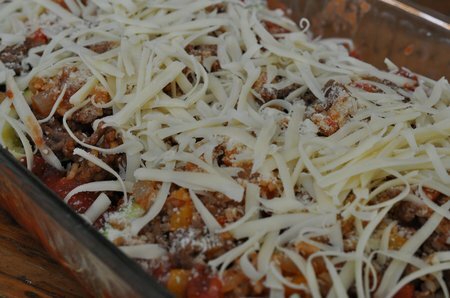 Sprinkle with parmesan cheese, and add a layer of grated mozzarella on top. 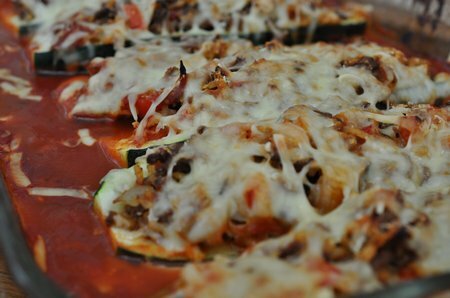 Cook at 350, for about 40 mins, or until the zucchini is soft. 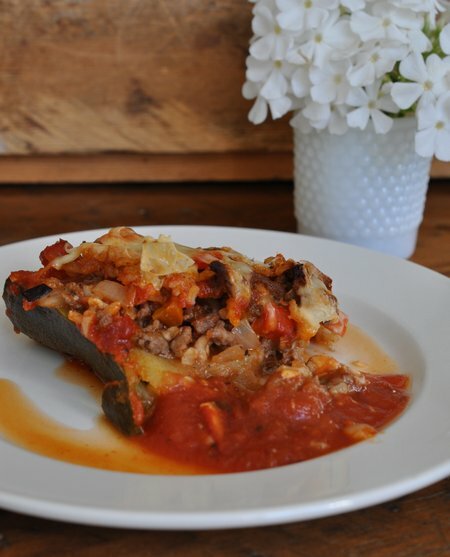 Looking forward to the leftovers for lunch 😉 -Hope you enjoy!